Lunch: Monday - Friday, 11:00am - 4:30 pm. Dinner: Daily, 5:00pm - 11:00pm. Join us for our special six course wine dinner on Tuesday February 22 at 6:30pm. $75 per person. We will also be participating in the 5280 restaurant week from February 26-March 11. 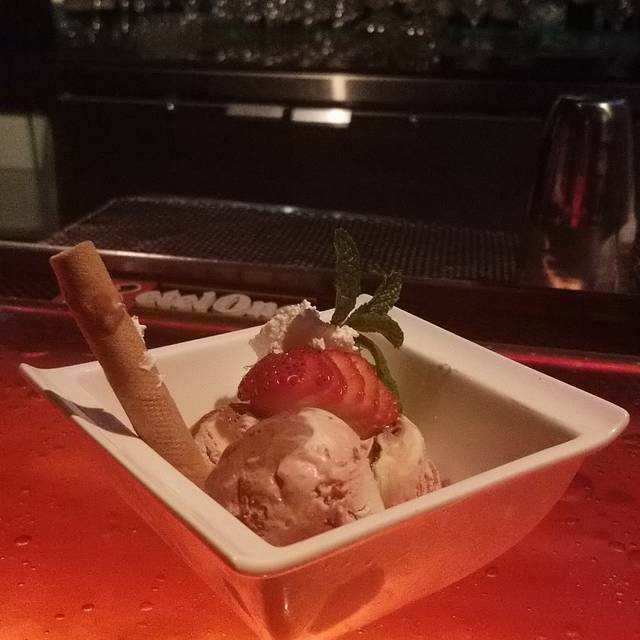 Venice Ristorante & Wine Bar provides first class Italian cuisine! Facilitating all of your event needs, from private receptions, corporate events, anniversaries and birthdays. 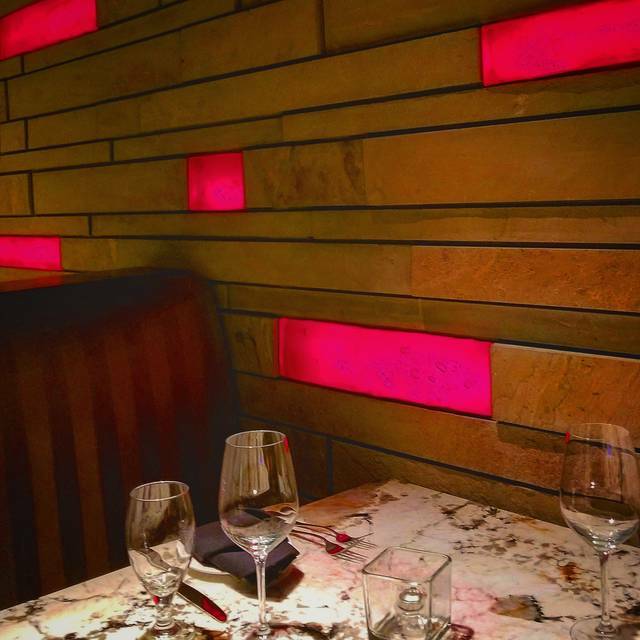 Our amazing wine list showcases 800 Italian wines and 300 worldwide wines. Great food and great service!! Thank you! The food was good but as always a bit overpriced. Service was good also as well as the ambiance. Overall good place for a night out either with your significant other or friends. We sat at our table for over 20 minutes and someone finally came to our table with some bread and olive oil. 5 minutes later, still with no waiter/waitress we flagged down someone with a jug of water. Half of our glasses were filled, as the jug was almost empty, and it took another 5 minutes to get more water. At that time we asked the gentleman giving us water if he knew who our server was as we have eaten an entire basket of bread and none of the servers walking by our table have stopped to wait on us. It seemed like every table around us had their own wait staff. The gentleman who got us water ran to find us a server whose section was all the way on the other side of the restaurant. Finally a waitress came to our table and she was not attentive at all. We asked a question about the menu she needed to ask the chef, which took over 10 minutes after reminding her. It was over 45 minutes before we were able to order appetizers and dinner. After the kitchen staff brought us our dinner, she did not checkin with us, we had to order additional drinks and request additional water from the gentleman who originally bought us water and found us a waitress. He was extremely tentative once he realized what was going on, which we greatly appreciated (and handed him a cash tip to let him know we really appreciated his service)!! If I hadn't eaten at Venice before, this experience would definitely make me think twice about coming back. It did not seem like there was a lack of staff, as multiple tables has multiple people waiting on them, but at no point did any of the staff (one waitress walked by us about a dozen times to her table but never thought to stop and help us or figure out why we haven't been helped) or management checkin with our table, which was disappointing. We expected more from Venice and was not the kind of experience we were hoping for when taking our friends from NYC out to dinner. This is a great restaurant for special occasions. We have dined here for two birthdays and an anniversary. The service was great and the noise level was surprisingly moderate even with most of the restaurant filled with high school kids going to prom. This place is so terrific! We have been coming for happy hour but this was a dinner with my son and daughter-in-law. 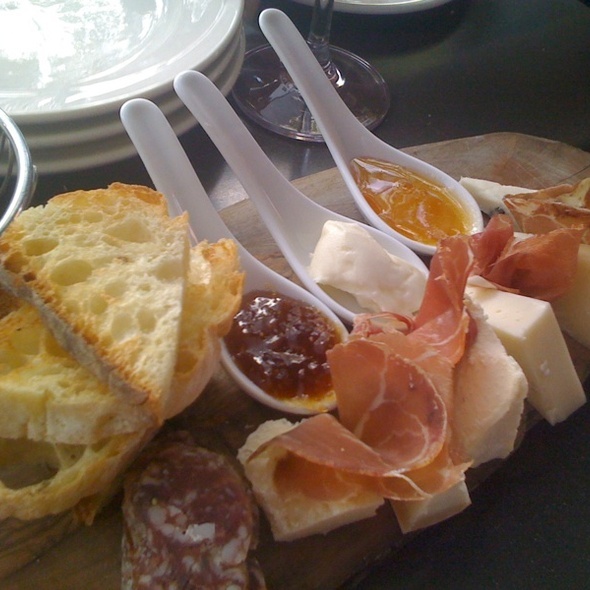 The charcuterie was ample and they kept bringing bread to enjoy with it. Venice is superior to Le Roux Andrew there places in the area. It is a hidden gem in plain sight! I had the wild boar which may be the best pasta dish I ever have had! My guests had various raviolis and light bed all of them. We shared the special dessert which was a custard pie that was top notch! This place is much more affordable that other places in the area but so much better! Service was very attentive and the best I have seen downtown in a while. We had such a wonderful memorable meal! I absolutely love to visit this ristorante. The food, cocktails & service are awesome. I love bringing friends & family, never disappointing. Always a great place to go. We really enjoy Venice and it's location right across from Union Station makes it an easy stop if you're coming from the airport on the train. 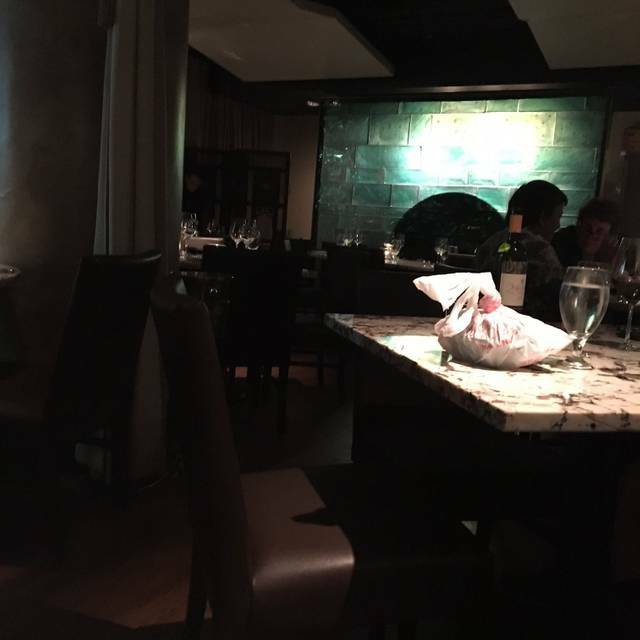 The food is delicious, the atmosphere is lovely and the service is consistently good. I saw penne pomodoro on the menu of sides, so asked if they could do a main dish size for me as my entree. They were happy to accommodate me. The bread is oh-so-delish, my salad was not only beautiful but tasty, and the butternut squash soup was wonderful. I'd recommend Venice as a go-to place anytime. The food was delicious, for the most part. But the restaurant was incredibly loud, so it was hard to hear the tablemates. Further, the food service was a bit rushed - there was a lot of pressure to move along. Food was nothing special and my husband found a piece of raw chicken in his pasta. The staff was quick to take it off the bill and added deserts. St Patrick's Day experience : An evening of mixed results, excellent food and hugely disappointing service. 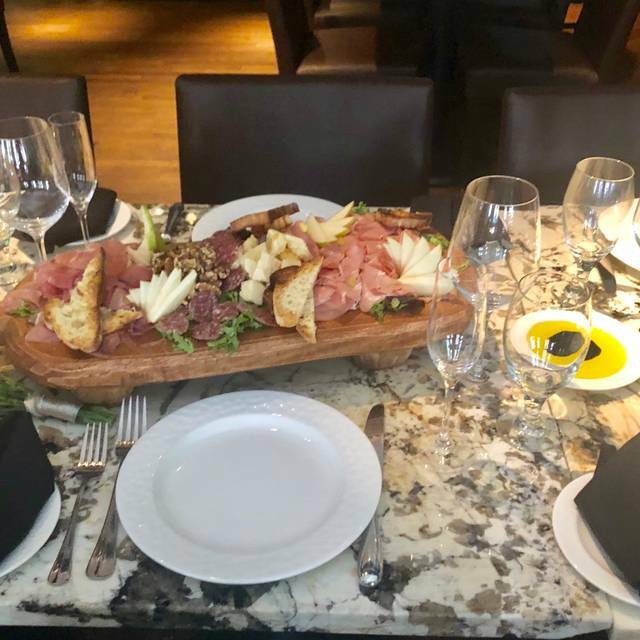 We ordered the Carpaccio d' Alba for the appetizer, and it was probably the best of this dish we have ever enjoyed. Generous portion, fresh and flavorful. For the main I had the Scampi Al Limone E Asparagi and it was delicious. Excellent version of shrimp scampi. My date enjoyed the Ravioli d'Aragosta, an impressive pasta dish with lobster and shrimp in a brandy cream sauce. We recommend both of these dishes and I am sure we will order all of these again in the future. The service: Our server, John, made the evening one of disappointment and left us wondering how and why he is employed in a restaurant of this caliber. From the first moment his behavior was curt and off putting, It felt like he instantly did not like us and his interactions with us were as if he was punishing us for asking questions about the menu, or simple requests like extra small plates so we could share our food between us. At the end of the meal he brought menus for desert or after dinner drinks, and when we asked for the check without reading these menus, he stepped away, then returned, and dropped the bill and credit card from about 2 feet above the table, spun around and left us sitting there. No thank you, no invitation to dine there again, no polite comments of any kind throughout the meal. We have no idea why he treated us with disdain. The food was wonderful but the experience was perplexing and uncomfortable. Good food and atmosphere. Serving staff was attentive, but food took a really long time, especially taking into account it was not very busy at the time. Venice is one of our all time favorite Italian restaurants! 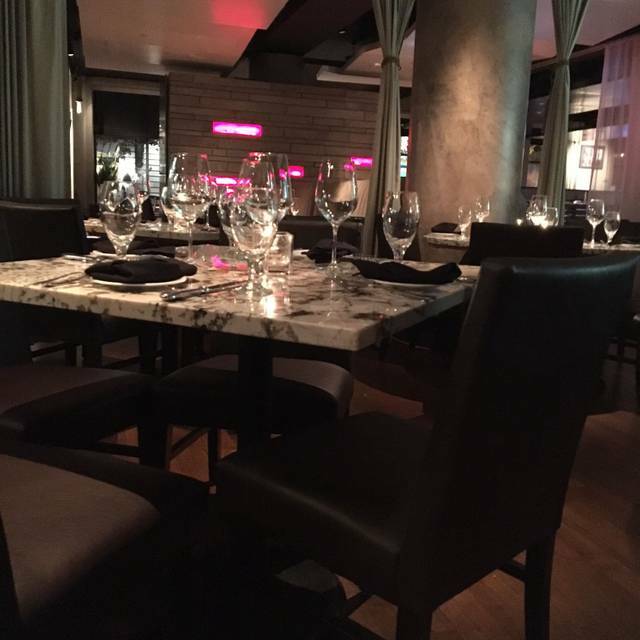 The service, the food and the ambiance are 5 star! It is authentic Italian food in our local community and with several locations too. Love it!!! Our evening with 2 couples was fabulous. Venice has always exceeded expectations. Our server Nick was pleasant and knowledgeable. Thank you! I ordered the rigatoni con salsiccia, and it was delicious. As a matter of fact, it was the best pasta dish I think I’ve ever had. The pasta was perfectly cooked and the sauce was perfectly seasoned. It’s very hearty, but not too heavy. The service we received was exceptional. Our server was hilarious and very friendly. He helped us pick out a bottle of wine and sold us not only on dessert, but a dessert cocktail as well. It was a great visit! my friend and I went out to eat for her birthday, the food was extremely salty we were not able to finish it. For what the price is, it is not worth it at all. I am not a picky eater as well but the dishes we received was not satisfying at all. The chicken in the ravioli was very dry and didn't taste fresh. I was disappointed. Took a large group and the service and food were excellent! The bar, food, service and ambiance was perfect. Definitely will go back! Beautifully prepared, excellent tasting, smells delightful. Service by Ryan was great! This was our first venture to Venice and it was superb in every respect. The food, service and overall professionalism of the staff (from the busboy, waiter, chef and owner) was outstanding. We sampled six items in total and each of them was tasty, flavorful and cooked perfectly; also, the house wines were quite excellent in contrast to many places that offer sub-standard wines. Highly recommend the experience! German was an excellent, attentative waiter. His advice in meal and wine selection was spot on. Can't wait to go back! Went for my wife’s birthday, it was great as always. Excellent food, great atmosphere, great service, and reasonably priced. 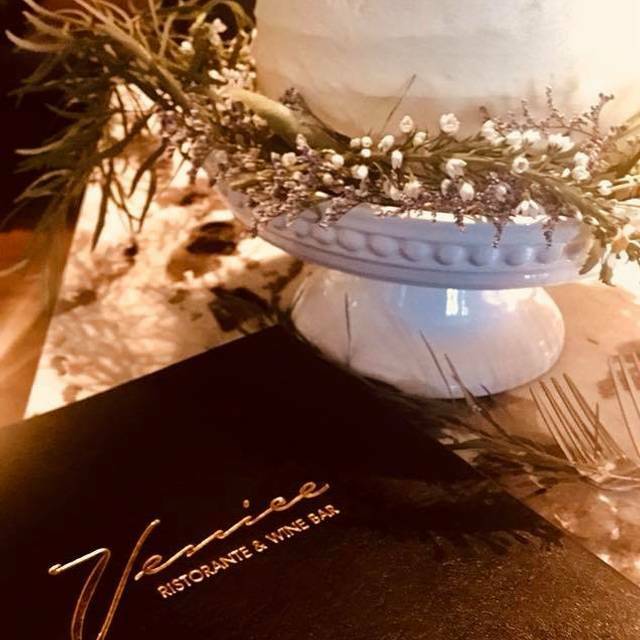 Venice is our favorite restaurant for many reasons -- the beautiful ambiance, the warm and welcoming staff, and the consistently outstanding, delicious food! From the appetizers to desserts, all are beautifully presented. The variety of the menu pleases all of our guests. Venice is our special choice for birthday and anniversary celebrations. We bring all of our out-of-town guests to enjoy Venice. My clients and colleagues have appreciated our many meals there. Venice is simply the Best! I was recently in Denver for my 30th birthday. Besides not getting sat for AN HOUR AFTER our reservation time the restaurant was amazing! A little packed to the brim but food was amazing and our server was fantastic. I would go back and try it again with hopes the point of making a reservation is to be sat around that time. Reservation for 7:30pm, waited 45 minutes for our table. Management was totally at fault, Denver Restaurant week, folks camping at tables, overbooked. Our last restaurant for restaurant week and one of our favorites. The wine list was extensive, but approachable. Loved the fried capers in the Cesar!! The ravioli with porcini mushrooms was so good and the chicken in my husband’s dish was cooked perfectly! Tiramisu was excellent. We will definitely be back! Lauri, our server, was great. Food is always excellent. Exceptionally good value during Denver Restaurant Week! Will return! Overall, the service wasn't particularly great, the food was "okay" for $25 a plate, and generally just not worth it. The chicken was very dry, the chicken marsala sauce wasn't that good, the Cesar salad was over salted, and I just plain wasn't impressed with much. I won't be back. If the place were half the price, if be interested in coming again. 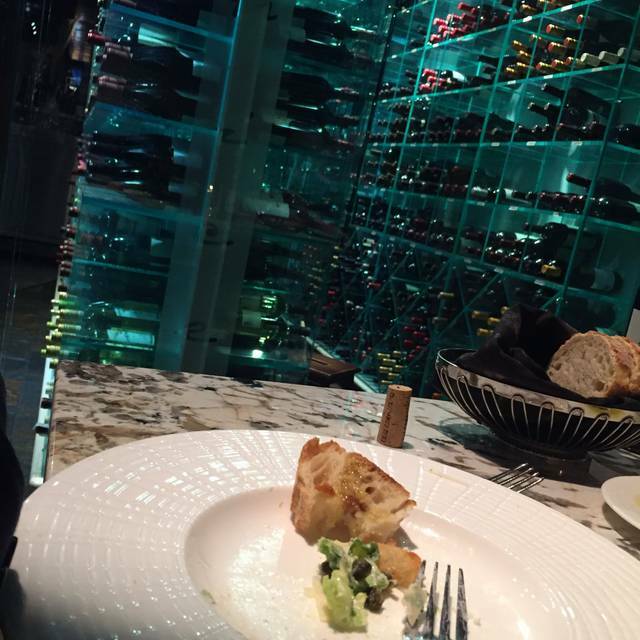 Excellent experience, especially considering the value of the great food and extensive wine list. Not overly crowded when we got there, but the place filled up rather quickly. Our server, Maggie, was a delight but seemed to be a little stretched when a large party was seated in her area. She was initially very attentive, but near the end of our meal, it took a while to get our dessert and espresso order and the check. While it was not overly burdensome, it is worth mentioning. Food was absolutely amazing. I’m going to try and replicate the risotto dish, but am sure I’ll come up short of the mark. Wife had the Bolognese , which she still is talking about. Definitely a place we both are looking forward to returning to. The arancini was delectable along with the very fine wine list! The pappardelle alla chinghiali was a very well balanced and hearty dish. 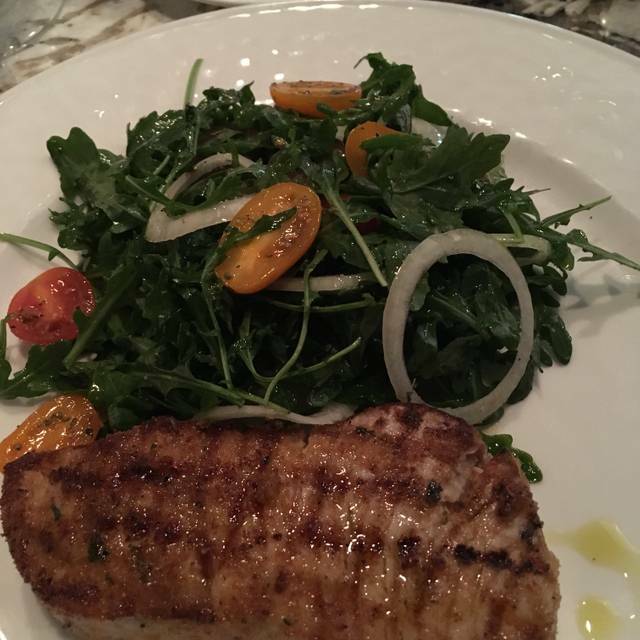 The service was on par with what you’d expect from an upscale ristorante and our server was a delight! Another fine visit to Venice! Quality food and great service. We'd definitely return.